The success of our bathroom, kitchen and laundry renovations is the result of careful planning and design, quality products, and the collaborative relationships we form with our clients. Based on many years of experience, we know that if you have a clear and considered design from the outset, it will pave the way for a smoother installation process. That is why we take the time to discuss your requirements, offer ideas and inspiration, and help with selections for fixtures and finishing touches. Our in-house, qualified designers prepare professional design drawings and communicate with you throughout the project. While there is no escaping the fact that renovating can create some disorder in your home, if you have a vision, a design plan and a team of professionals to carry out the project, that level of disorder will be greatly reduced. You also want the peace of mind knowing that you are dealing with a business that has longevity and integrity. At our Claremont showroom, we display the best on offer not only in terms of bathroom and kitchen fittings, but selected ranges of tiles, electrical appliances, Caesarstone, Polytech finishes, and more. This allows you to make most of your renovation decisions from one location. We have a registered builder as our site supervisor to coordinate and oversee your project, and an established network of skilled and professional trades to carry out the work. From the strip-out to the final clean, we are committed to completing your renovation as expediently and thoroughly as possible. Our bathroom designs range from small and functional, to luxurious and lavish. We strive for practicality, visual appeal and a sense of balance with our kitchen designs. 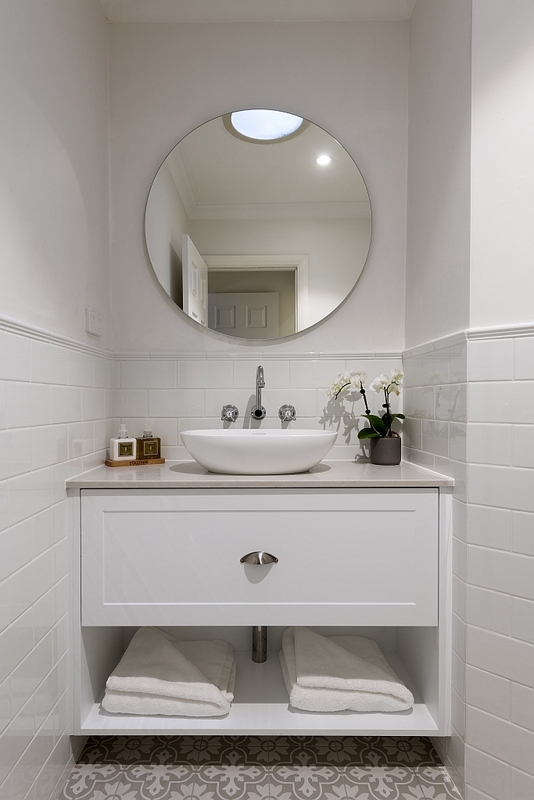 A laundry renovation should maximise use of space and add a touch of style.